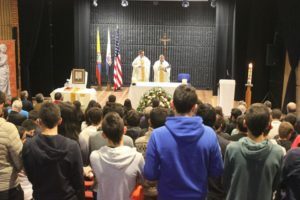 Center, students and staff at the Colegio San Viator in Bogotá, held a memorial Mass for their beloved Padre. They remembered him fondly as one the school’s founding fathers. Fr. 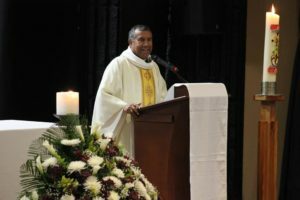 Pedro Herrera, CSV, president of the colegio, concelebrated the Mass with Fr. Gustavo López, CSV, school chaplain, in the Kenneth Morris, CSV, Auditorium. The liturgy drew a full crowd, including current students who learned more about one of the school’s founders, and graduates of his first class. Among them was Francisco Ruiz, a historian and professor who described the school’s beginnings and Fr. Crilly’s role in it. 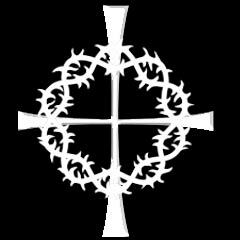 For Fr. Pedro, the occasion was bittersweet. He was in the first class to graduate from the colegio and he would become the first Viatorian religious to come from the school. 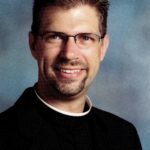 He has remained passionate about advancing the Viatorian mission in Colombia, not only serving at the award-winning colegio in Bogotá, but also helping to start the Colegio San Viator in Tunja, in 2017. Through it all, Fr. 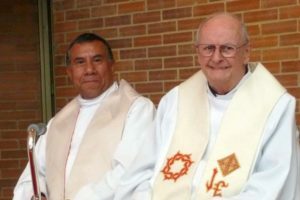 Pedro remained in close contact with Padre Crilly and visited him at the nursing home near the Viatorian Province Center in Arlington Heights, just weeks before his death. Though Fr. Crilly’s health was failing, he embraced his former student and confrere, and the two talked of their days in Bogotá, speaking in Spanish.